On Friday evening I was invited along to a tasting session at The Kings Arms pub in Pentyrch by the Otley Brewing Company to celebrate their official launch. 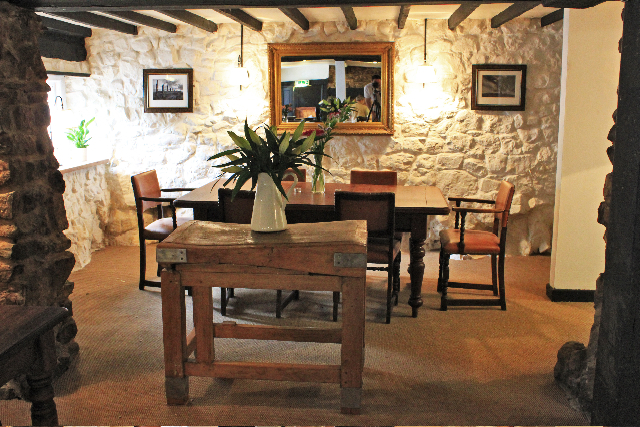 The 18th century longhouse pub is owned by Brains but was taken over by Otley Brewing Company in March this year, and since then they have been working on a very sympathetic restoration. In these times when pubs are closing and being turned into houses there is a real benefit in breweries running them - yes there is food, and a dedicated dining area, but the pub is still a pub. When I stuck my head round the corner it was packed out with locals having a beer. Fantastic! Nick Otley gamely hosted and set out the thinking behind the menus, “We’re fortunate in Wales to have some of the best food and drink producers and we’re looking to celebrate this produce through our menu and the drinks we put behind the bar. 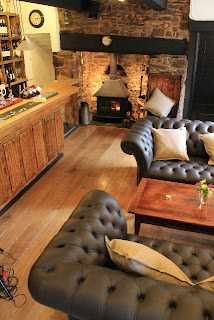 Our ethos is centred on sourcing sustainably and locally, much like our sister pub, The Bunch of Grapes in Pontypridd." Since discovering that I liked Guinness on a trip to Dublin a few years back, I've been ditching lager in favour of ales and stouts but for some reason I haven't tried any Otley ale so I was intrigued. Thai-Bo - an unusual one this, a 4.6% ale flavoured with lemongrass, galangal and lime. This had been a special edition but has been promoted to a more general release. I liked it but I think one pint would probably be enough! Brains SA - already well familiar and now 50 years old, this didn't really need much of an introduction. All at sea - a new offering from Brains Craft Brewery which has drafted *ahem* in the services of ale writers and reviewers to create the beers. This one and the Croeso were probably my favourites but at 5.2% I wouldn't be able to drink much without feeling the effects! Apparently they have a new ale, Barry Island IPA on the way in the next couple of weeks so keep an eye out for that. From the barbeque I tried the lamb stuffed with black pudding (I'm a sucker for anything that has black pudding) and rosemary. The lamb was good and I do like pink lamb but it was probably a little underdone even for me. Looking at the Summer menu there is a 12 hour confit shoulder of lamb at £15.00 that will ensure that I return very soon! Thanks to Otley Brewing Company for the invite and the food and ales which were complimentary.